The Indian women’s team almost pulled off a dramatic win but failed to score a boundary on the last ball of the 20th over to lose the third T20I against New Zealand by two runs. 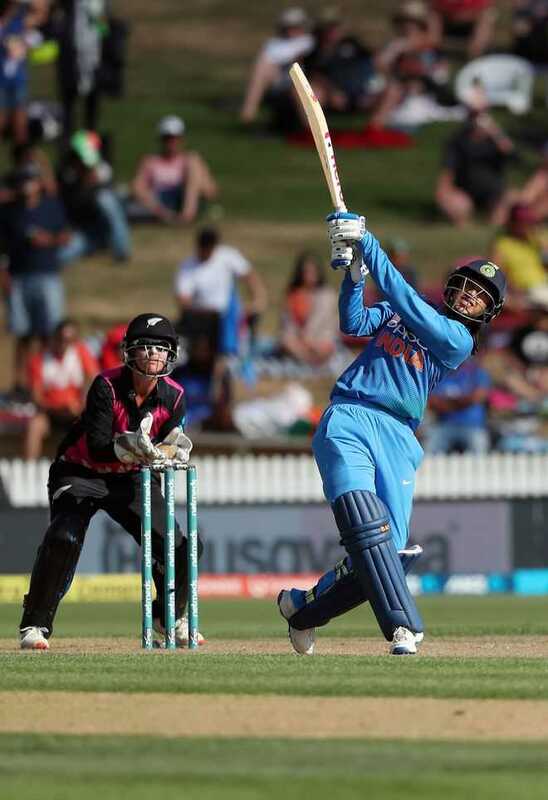 Chasing 162 for a win, Smriti Mandhana hit a career-best knock of 86 off 52 balls but the visiting side failed to build on her scintillating knock to end their innings at 159/4. India surprisingly named senior player Mithali Raj in the playing XI and she contributed an unbeaten 24 off 20 balls after the fall of captain Harmanpreet Kaur (2). But she failed to hit a four off the last ball of the 20th over bowled by Leigh Kasperek as India lost the match by two runs. India needed 16 runs from the final over and Mithali and Deepti Sharma (21*) raised hopes of a remarkable win by hitting boundaries off the first and third deliveries but were left to hit a four off the last ball.